Pat Barker’s award-winning anti-war novel was much admired when it was published in 1991. It was adapted for film in 1997. 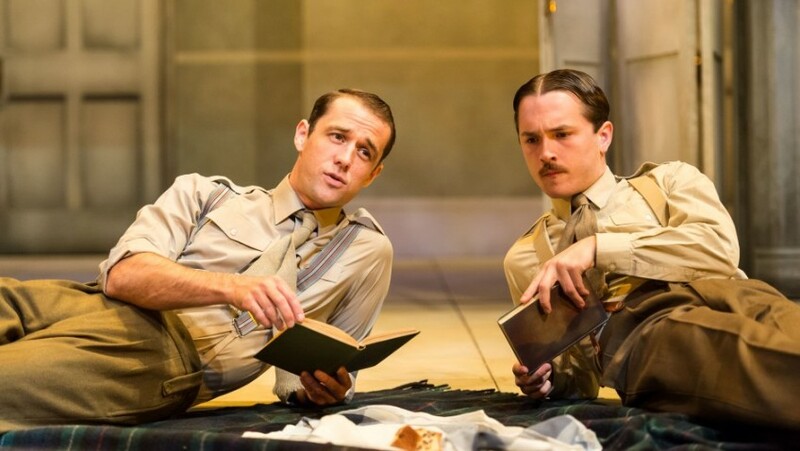 It has now been successfully adapted for the stage by Nicholas Wright and Simon Godwin directs a fine cast. 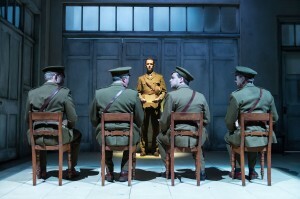 The play concentrates on Dr Rivers and his patients, the poets Siegfried Sassoon and Wilfred Owen, and the fictional Billy Prior, when they were at Craiglockhart Army Hospital in Scotland during World War 1. The officers are all suffering from shell shock and most of them are feeling guilty that they have survived when so many others had died. 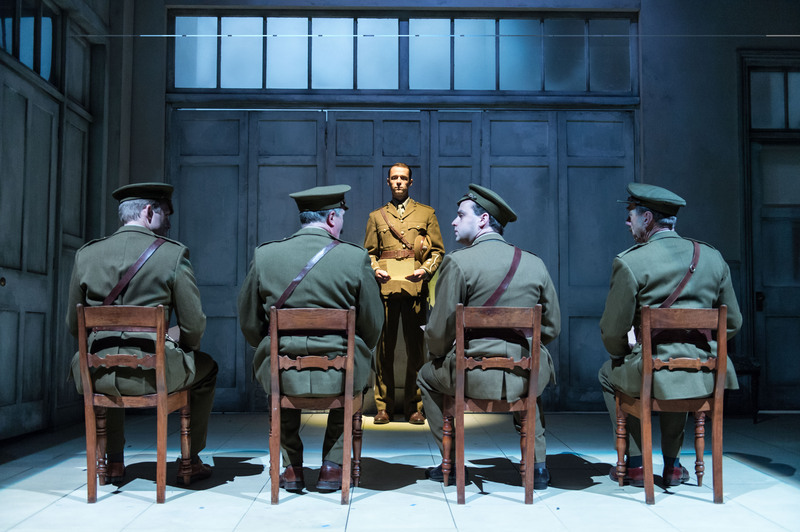 The play is written in a series of short dramatic scenes in which the traumatised men relive the horrors of the frontline in their nightmares whilst some, a horrific scene this, undergo electric treatment. John Monaghan plays the fictional working class Billy Prior, an ex-grammar school boy suffering from mutism and asthma. The Army would have court-martialled him had not Robert Graves used his influence and argued he was suffering from shell-shock. 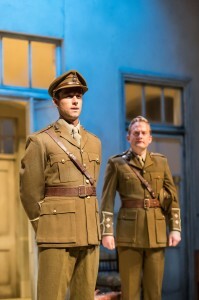 The play observes the developing relationship between Sassoon (Tim Delap) and Owen (Garmon Rhys) which might have developed even further had not Owen being killed just days before the war ended. Sassoon encouraged Owen to write about the war and helped him to improve Anthem for Doomed Youth. 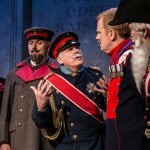 The hospital psychiatrist, Dr Rivers (Stephen Boxer), a humane man and father-figure to Sassoon, was fully aware if the ambiguity of his role. His job was to heal the men as quickly as possible; but only so that they could then be coerced, as a matter of conscience and duty, to return to the battlefields, where they would almost certainly die. 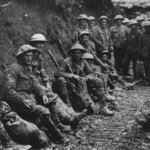 There were over 16 million deaths and over 20 million wounded in World War 1. Ten years after the war had ended more than 65,000 men were still being treated for shell shock. 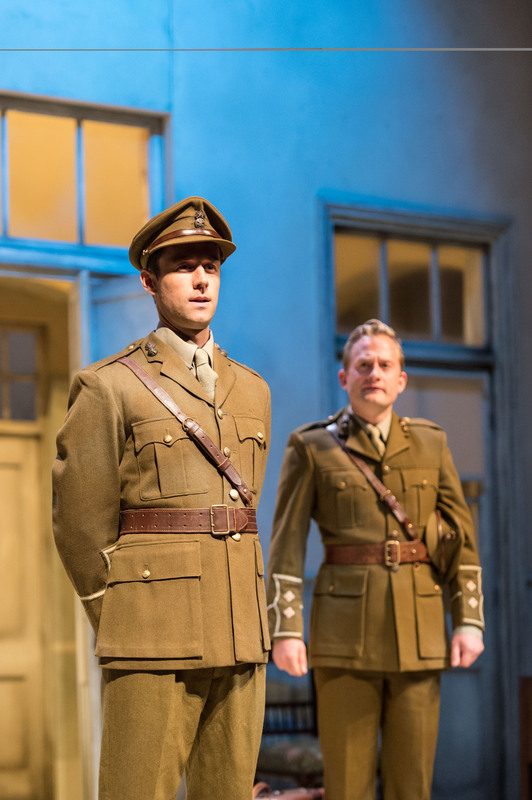 Simon Godwin’s admirable production is touring and can be seen during November at Wolverhampton, Darlington, Oxford and Blackpool.